A man was mugged in Billing Road on Saturday. 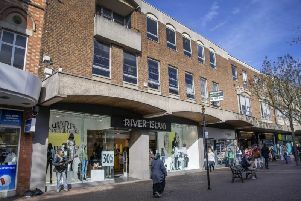 A man was punched to the floor and robbed in Northampton town centre over the weekend. The victim was robbed while walking in Billing Road, near to Northampton General Hospital, between 4.05am and 4.30am on Saturday (May 5) when he was approached by two men. The men engaged the victim in conversation before assaulting him, punching him to the floor. While on the floor they took the victim’s wallet and phone before making off in the direction of the town centre after being disturbed by a member of the public. The offenders were both white men, aged 20 to 25 and wore casual clothing, including jeans. One had light coloured hair which was short at the sides and longer on top.